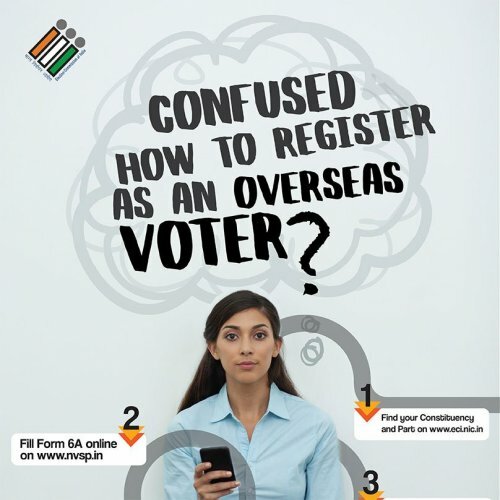 A citizen of India, who is absent from the country owing to employment, education etc, and has not acquired citizenship of any other country are known as Overseas Voters and are eligible to be registered as a voter in the address mentioned in their Indian passport. 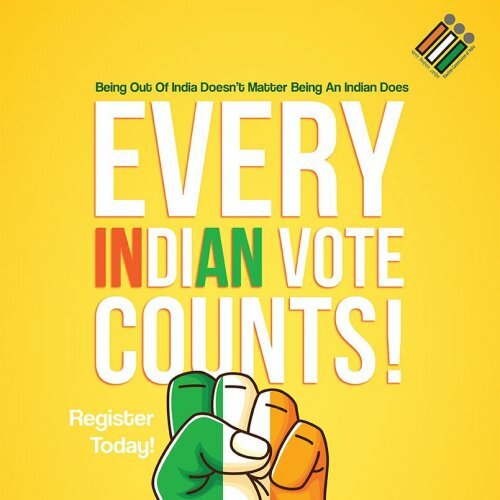 a citizen of India, absent from the country owing to employment, education etc, has not acquired citizenship of any other country and are otherwise eligible to be registered as a voter in the address mentioned in your passport. Use this interactive map to find your polling station and the contact details of Election Officers from your area. Fill Form 6A online at www.nvsp.in and upload the requisite proofs. Alternatively download Form 6A from ECI website www.eci.gov.in. Fill Form 6A in 2 copies. Forms are also available free of cost in Indian Missions. Documents required with Form 6? One recent passport size coloured photograph affixed in Form 6A. If the application is sent by post, the photo copy of each of the documents referred to above, should be duly self attested. 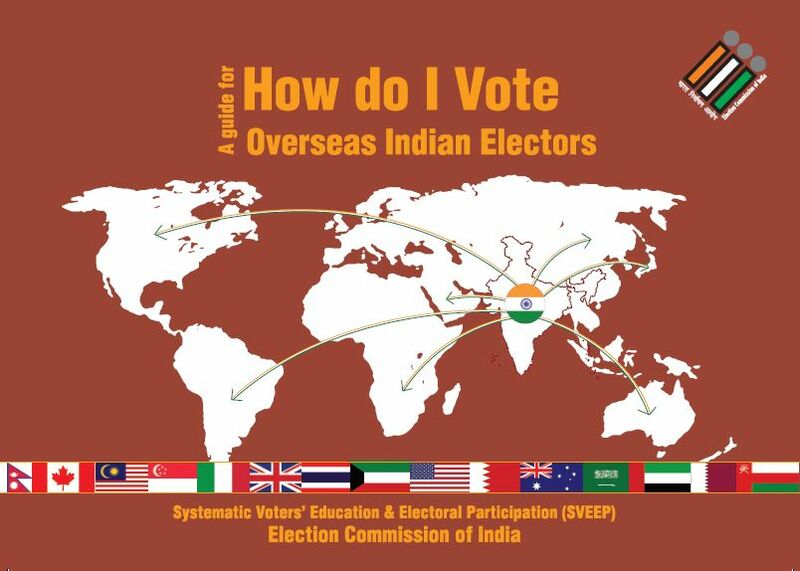 An overseas elector is not issued an EPIC & you will be allowed to vote in person at the polling station on production of your original passport.